Join us Tuesday April, 16th at 11 AM PT | 2 PM ET for a LIVE webinar with Millendo Therapeutics. 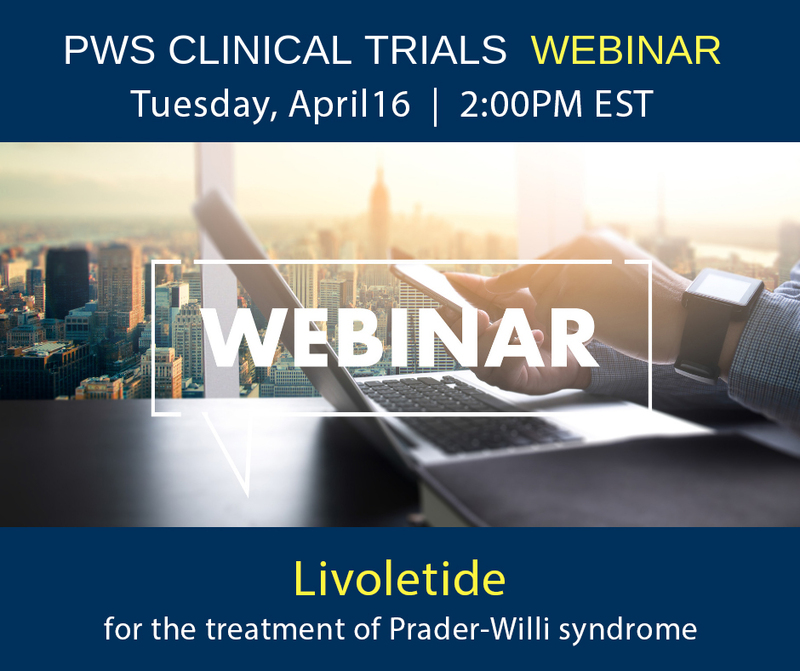 Millendo Therapeutics will soon be enrolling patients ages 8 to 65 for their study of Livoletide for the treatment of Prader-Willi syndrome. If you are interested in learning more about this trial, join us for a live 20-minute webinar to learn more about the study, what you can expect if you choose to participate, and eligibility criteria for participation. Time will be reserved at the end of the webinar for questions.